It is finally acting like it might actually get cold here, and that means I am ready for all the sweaters, all the jackets, all the boots, and all the scarves. I really only get to wear fun wintry clothing for like maybe two months if I’m lucky, so I try to really make the most of it. Ha! This year I wanted to crochet myself a new scarf. I’ve been loving the big blanket scarf trend, and wanted to try my hand at a crocheted version. I really love the way this scarf turned out. 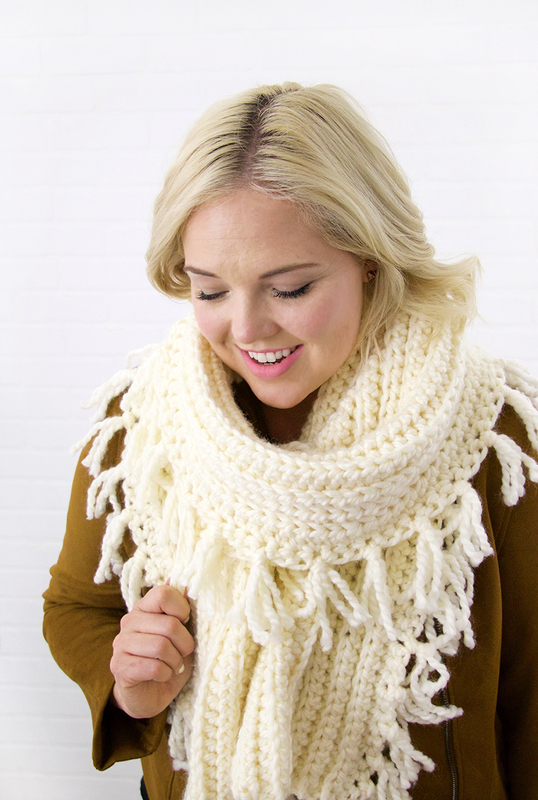 It is a lot of fun to wear and will definitely keep you (or whoever you make it for) warm! I love the look of that ribbed stitch paired with lots and lots of tassels. 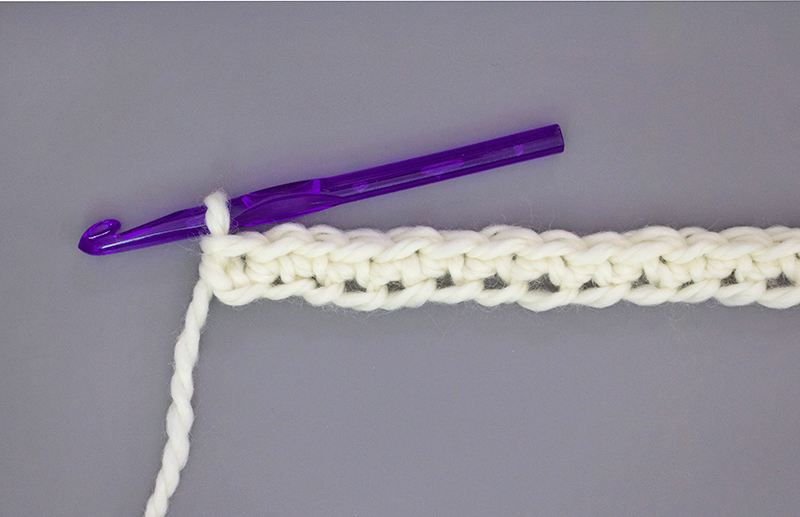 This crocheted rib stitch is one of my favorite stitches to work. 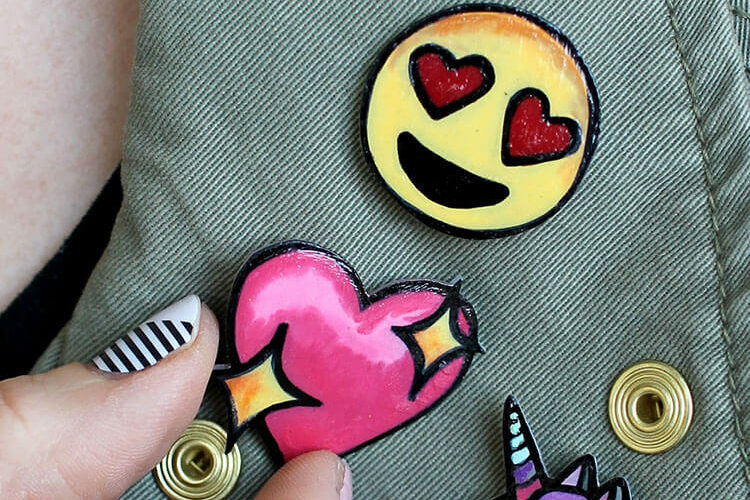 It is super easy to do and creates a nice, stretchy fabric. 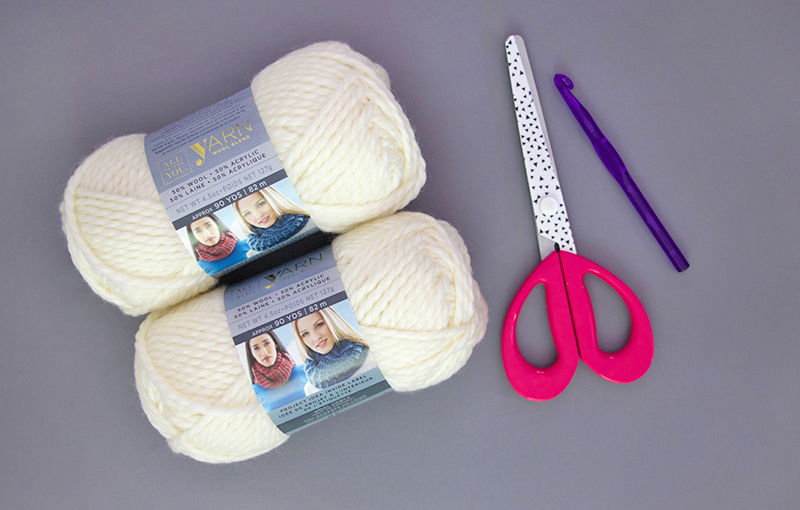 This finished scarf is just over six feet long and about 10 inches wide, but if you want an even longer or wider scarf, the pattern is easy to adapt. 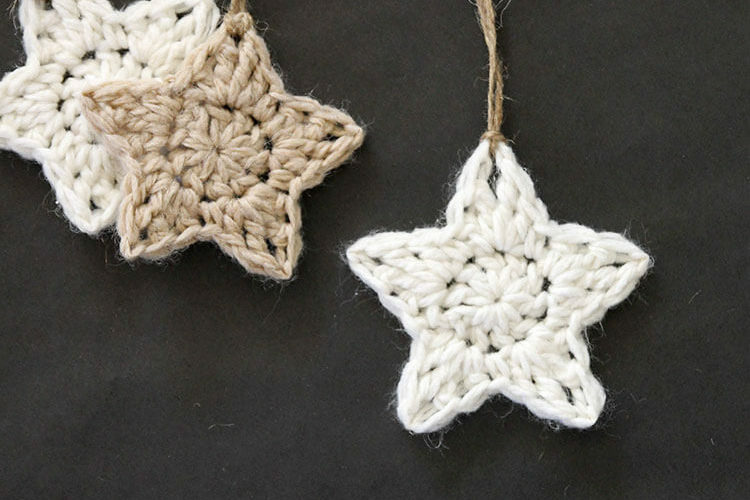 Ready to get crocheting? Please Note: This pattern is free for personal use only. Please do not redistribute or sell this pattern. If you would like to share the pattern with a friend, please share the link. Thank you! The finished scarf is about 76 inches long by 10 inches wide (not including tassels). Row 1: Ch 155, sc in 2nd ch from hook and each remaining chain (154 sc) OR work 154 foundation single crochet stitches (learn how to work the foundation single crochet stitch here). 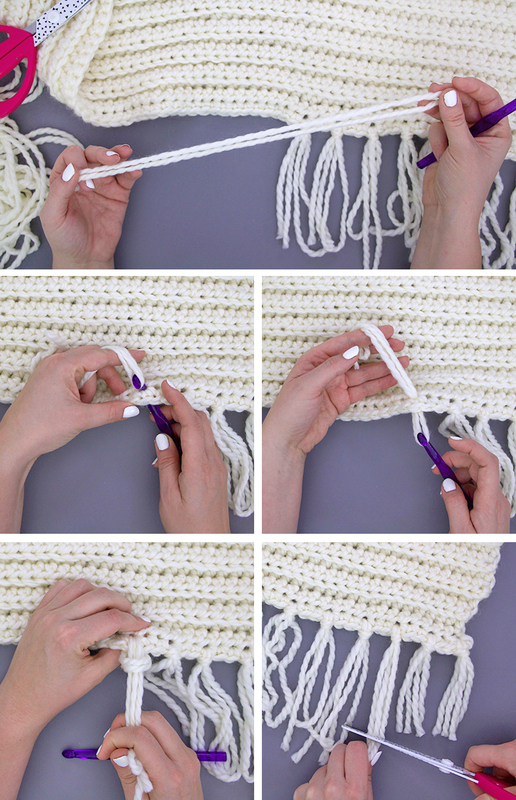 (To adjust the length of your scarf, use any number of stitches equal to a multiple of 3 + 1.) Turn. Row 2: Ch 2 (counts as hdc), hdc in next st and each remaining st (154 hdc). Turn. Row 3: Ch 2 (counts as hdc), working in back loops only (see image below), hdc in next st and each remaining st. Turn. Row 20: Ch 1, sc in same st, sc in each remaining st (154 sc). Finish off. Weave in ends with your finishing needle. 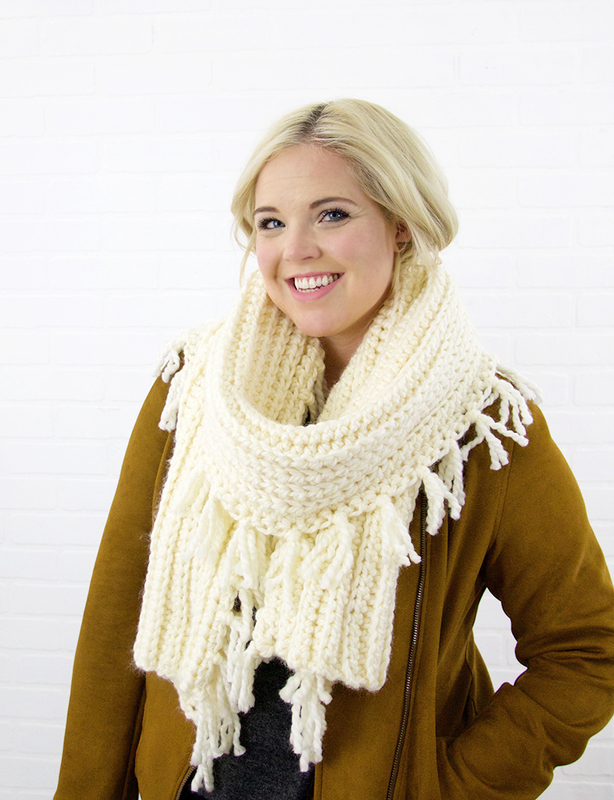 When your scarf is crocheted, it is time to add on tassels! Cut a length of yarn about two feet long (or longer if you want longer tassels). 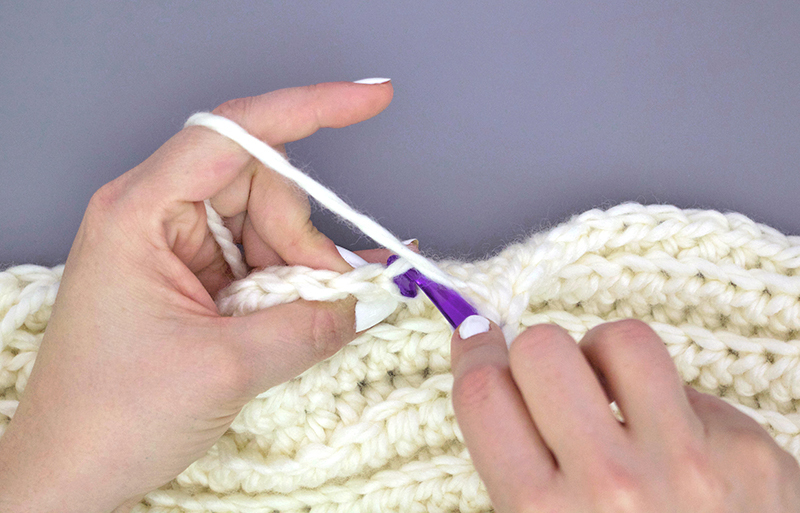 Fold the piece of yarn in half. 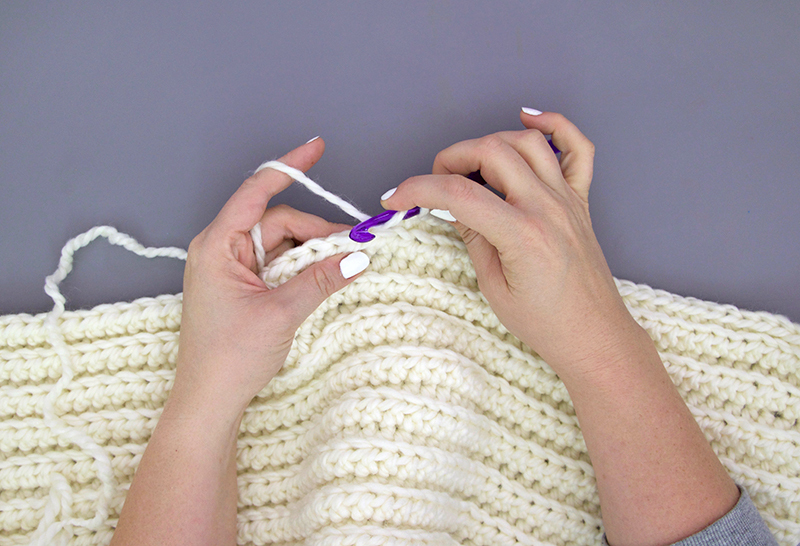 Pull that doubled length through a corner stitch of one of the long sides of the scarf using your crochet hook. Thread the tails of the yarn through the loop and pull to tighten. 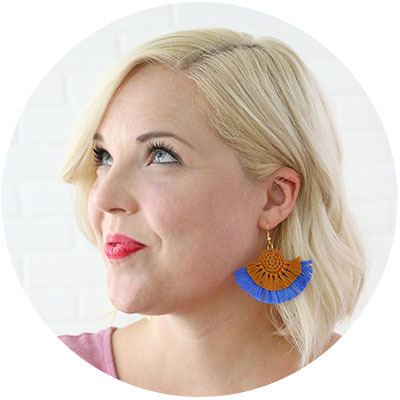 Repeat these steps to attach tassels to every third stitch. Use your scissors to trim the tassels to the same length. 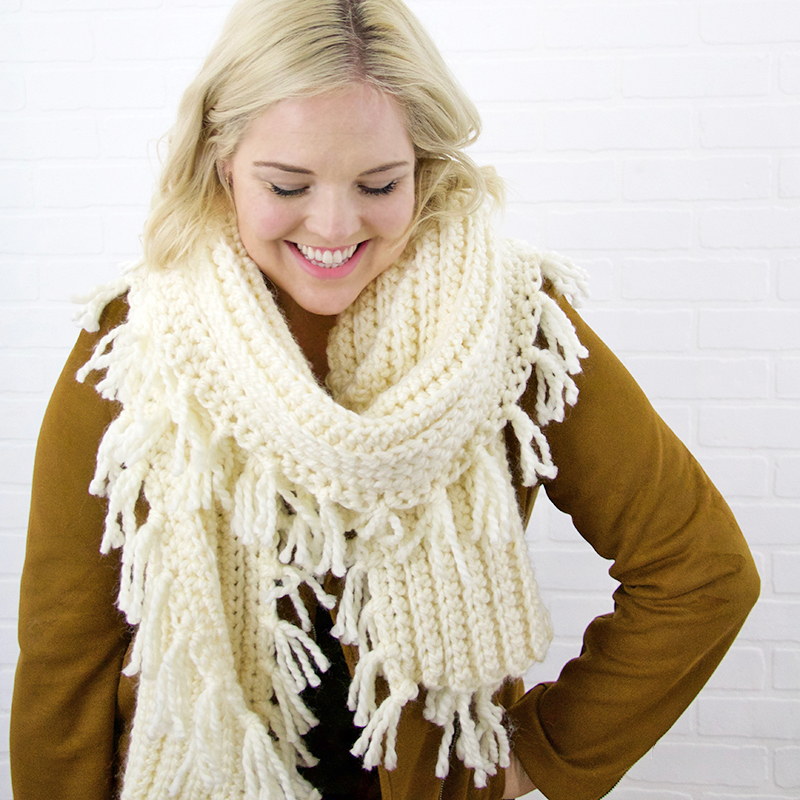 When you are done attaching and trimming your tassels, your scarf is done and ready to wear or gift! 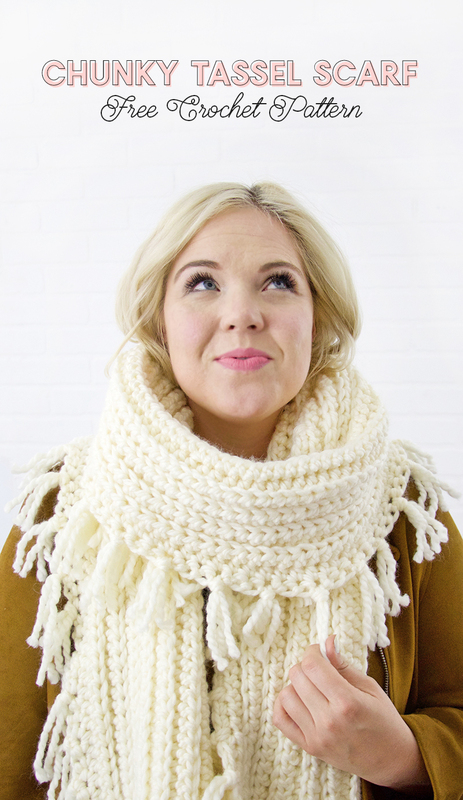 If you make your own chunky tassel crochet scarf, then I want to see it! I’d love if you posted it to my facebook page or tagged me on instagram. It really makes my day. And I always appreciate it when you share or pin any of my patterns! Thank you! This is a lovely pattern:) Thank you for sharing. I’ve finished the the scarf and am about to attach the tassels. Do you attach tassels to both of the long sides? Great, thank you:) I just wanted to make sure.